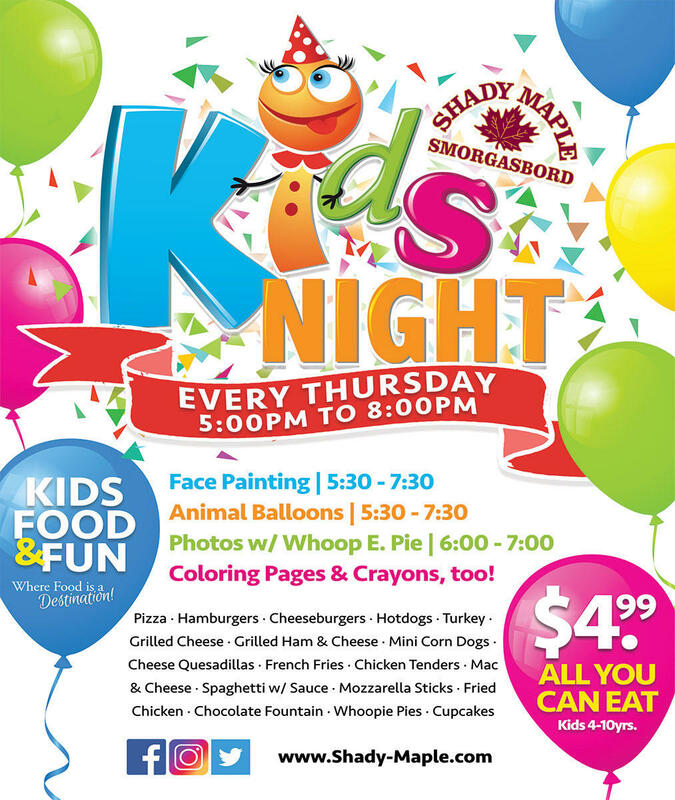 Kids Night from 5 p.m. to 8 p.m. EVERY Thursday night at Shady Maple Smorgasbord, kids ages 4-10 eat all they can for $4.99! 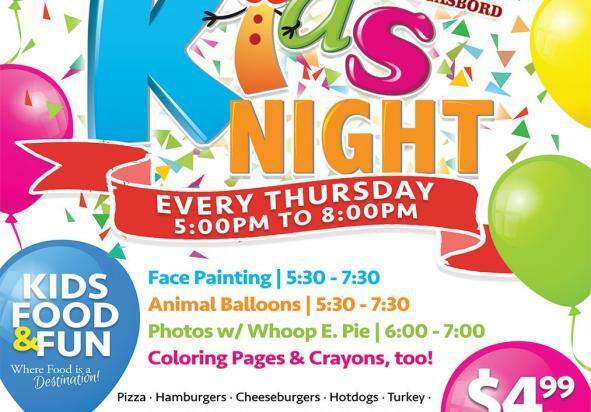 Kids Night features a special kids menu, face painting, animal balloons, and a photo op with Whoop E. Pie! Shady Maple is a family tradition! 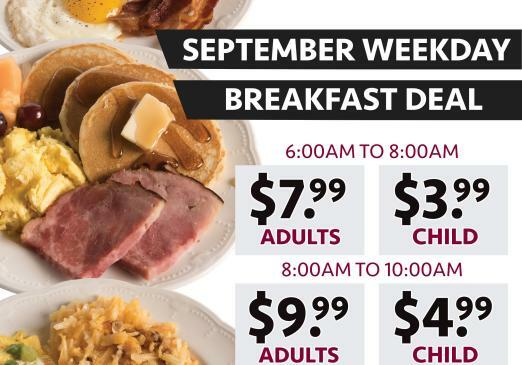 Discover the experience of dining at Lancaster County's largest smorgasbord buffet.